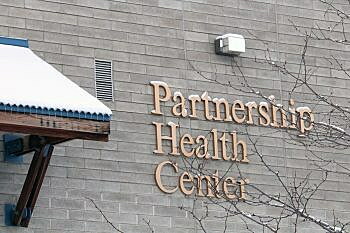 A buy-sell agreement between Missoula County and Partnership Health Center for property in downtown Missoula is expected to close this spring, releasing the county from ownership in the building. The deal will see Missoula County sell its interest in the property to PHC for $1.3 million. The building is located at 323 W. Alder St.
Marks said the property has been jointly owned by the county and PHC for several years. When the lease lapsed, however, it included a provision requiring the county to purchase the building in full. Selling the property to PHC cleans up the lease and settles ownership, Marks said. The county expects the deal to close in March, though other issues must first be resolved. The building was constructed beyond the property lines, for one, requiring the city to complete a boundary relocation. Marks said the county will also lease 10 parking spaces to PHC on the adjacent county lot. “It in no way constrains what the county does with that neighboring lot, other than we agreed to lease them those 10 parking spots,” Marks said. Andrew Czorney, the county’s chief financial officer, said the county will likely use proceeds from the sale to close any budgetary gaps. PHC currently houses its administrative offices in the Alder Street property, though it plans to expand some services. County employees formerly located in the property are being relocated to the Radio Central Building on Main Street.